Skychain has an open infrastructure and is based on blockchain, which provides the possibility to create, train and use high-quality medical neural networks. IBM estimates the artificial intelligence market in the healthcare sector to reach $200 billion in a few years. Skychain’s goal is to control more than 70% of that market. Skychain is unique. It is different from other similar blockchain projects (SONM, Golem, SingularityNET, etc.) because it is focused on medical neural networks. Medical data providers will be able to connect to the Skychain infrastructure and make their datasets available for neural network training. No major existing AI project based on blockchain technologies has a chance to enter the medical market. Skychain aims to do it. 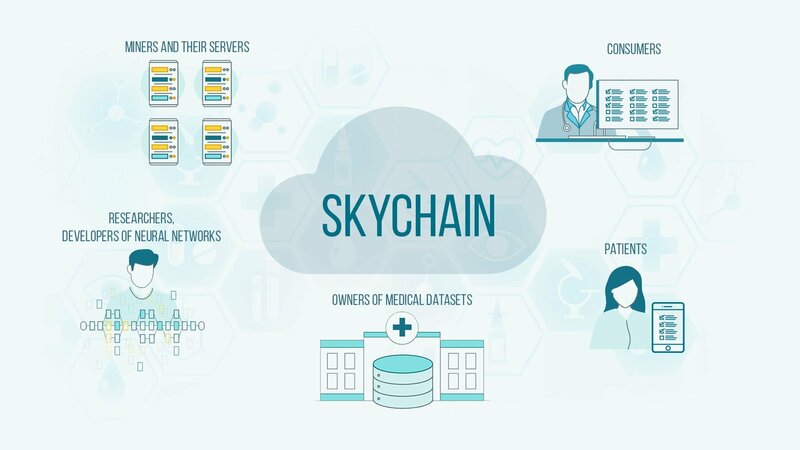 Earn Skychain Global Coin while providing your medical datasets for deep machine learning – Using a closed-loop system of Skychain, upload your private medical datasets, providing them for the training of third-party neural networks. Get royalty for every use of neural networks, trained with your datasets. Develop your own neural networks and train them with the help of Skychain Global Coin’s distributed supercomputer – Using the Skychain neural network toolkit, any researcher can quickly develop his own neural network and the resources of the distributed network of the miners will become the fastest supercomputer, with low cost of processing power. Get rewarded each time consumers use your neural networks – Do you already have a high quality and trained neural network? With the help of Skychain, it instantly becomes available to millions of consumers all over the world who will pay for each time they access your neural network at the rate you set. Doctors and patients will have the opportunity to simultaneously analyze the medical tests results with the help of hundreds of independent neural networks, and get the most accurate diagnosis and complete analysis. The current situation in the market of medical neural networks can be described as the initial stage of the emergence of the market. It is difficult for laboratories and creators of neural networks to provide access to their developments to end users (doctors). There is no unified infrastructure. Skychain will become an analogue of AppStore for them. Using it, any doctor can quickly use the neural network of interest. The common problem for most of the developers is accessing medical data for training of their neural networks. Skychain will provide a special function of hosting of medical datasets in a closed-loop system, and the ability to teach third-party neural networks, using these datasets. The datasets will be kept in safety and remain the property of their owners, as well as the neural networks. It also guarantees the receipt of a fee for each use of the neural network both for developers and for the providers of datasets, which were used for training of neural networks. Large corporations, such as IBM, are not able to independently train thousands of neural networks needed to fully cover all areas of medical diagnostics. Skychain will contain thousands or even tens of thousands of highly specialized neural networks created by independent laboratories and corporations. The market of neural networks is constrained by the high cost of equipment suitable for effective machine learning, and the complexity of the design and training tools. 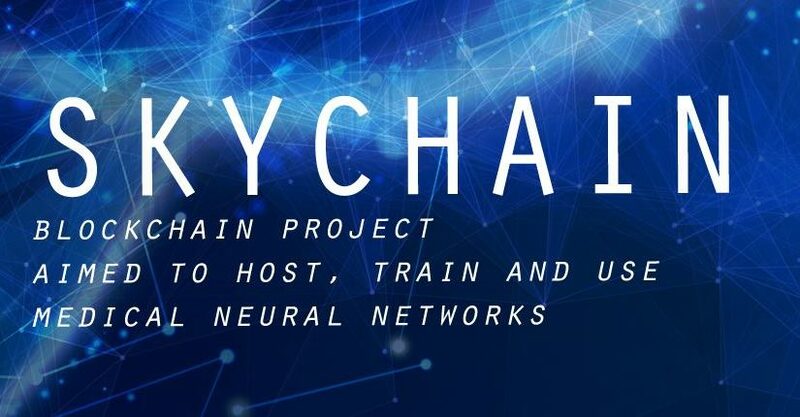 Skychain will provide a convenient tool for neural networks development and the possibility of their inexpensive and fast learning with the help of the distributed computing resources of Skychain members. The total computing power of Skychain will exceed the data centers of any large corporations. Their ICO starts February 26 at 00:00 CET.